You know, if I didn’t know better, I might think some of what they are saying could be true. 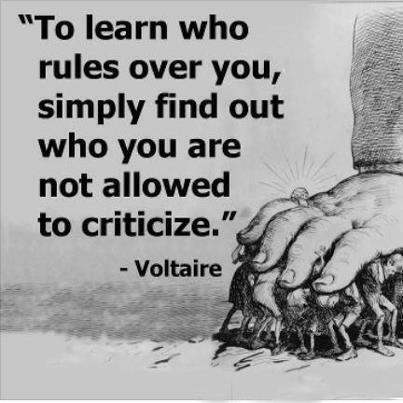 But I understand the “group think” (because I once believed it) and I understand fully how these people have been manipulated into thinking any criticism, any question, any demand to be held accountable for actions is labeled slander, hate crimes, gossip, and a host of other labels that attempt to discredit the person who is speaking out. It also has been carefully and strategically planned to keep the “group” isolated from any sound reasoning. They have been pre-conditioned (using scripture out of context for many, many years) to think that anyone who does not agree is the enemy and listening to them would endanger their “salvation”…and so, they stay in the dark, cut off from family and friends who have tried and failed to point out the obvious. Yes, they stay in the darkness of the lie they have believed is truth, and are fed only what Tim Williams wants them to know, half truths, twisted truth, stories omitting significant facts, and flat out lies. Yes, this is how cult leaders operate, and Tim Williams is one master manipulator. Pretty amazing that I could be responsible for his wife’s brain tumor, that I could talk a teenager into fabricating a story and then going before a judge and jury retelling unmentionable things, and that I could get the prosecutor and judge to ignore “evidence” …and wow…I am so powerful I could be responsible for the “pastor” to be “unjustly” found guilty on all charges and sent to prison. Laughable, but so, so sad at the same time. To think I gave my credibility in Christian publishing to this group, on a silver platter, and now they are using it to not only slander and defame me, but many others who have had the courage to tell the truth. What is it with spiritual abusers? Bullies who try to silence those they have abused? I see an interesting parallel between the lawsuit from Oregon and this trial…arrogant bullies will always proclaim their innocence, “in the name of the Lord.” Oh how this must break the heart of God, who would never treat people as they do. Yes, today is Justice Day, as the “Associate Pastor” of Sound Doctrine Church was handed a 20 year prison sentence, with no less than 18 years before parole can be considered. 25 They pretend to be kind, but don’t believe them. Then I read the latest article on the Courier Herald site and saw the correlation clearly…The rhetoric reminds me of Bill Clinton and all the other politicians who’ve been caught for their sexual misdeeds and arrogantly denied them. May the Lord continue to render justice through men and women who refuse to be intimidated. Click here to read the article in the Courier Herald. Once again, the Sound Doctrine Gestapo has attempted to obstruct justice, and once again, God said NO WAY. Praise the Name of the Lord, for He is just and will not be mocked.